Big B Radio is The Only Hot Station for Asian Music. Streaming a wide variety of Asian Pop, Kpop, Jpop, Cpop music all under one station. 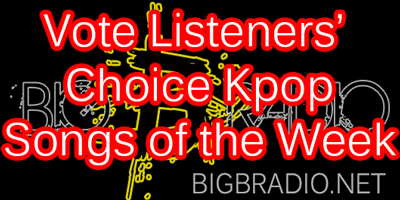 Big B Radio is proudly run by our volunteers who loves Asian Pop music and we are determined to be the vanguard internet radio station for promoting Asian Pop music to the worldwide audiences. We are one of the first internet radio stations to broadcast Asian Pop genre music through SHOUTcast Radio since December 2004. And we are continuing to play the hottest Asian Pop music to listeners all over the world 24/7. Happy Listening! Favorite Artists: Bigbang, BTS, Blackpink, EXO, Winner, NCT, Hyukoh, SHINee, Mamamoo, Monsta X, Got7 and Red Velvet. If you like our radio station, please support us by donating. Any amount from donations will go help us pay our radio hosting fees. Big thank you for your support & happy listening!